In an effort to contribute to the celebration of the Guru Puja Festival, Divine Times interviewed several initiators to get their views on the meaning of Guru Puja. Four of the Indian initiators were asked, since it seemed like they might have interesting stories from festivals previous to 1971. (Some of the stories they tell aren't really about Guru Puja festivals per se, but it really doesn't seem to matter; they're about Guru Maharaj Ji, and that makes them completely relevant.) 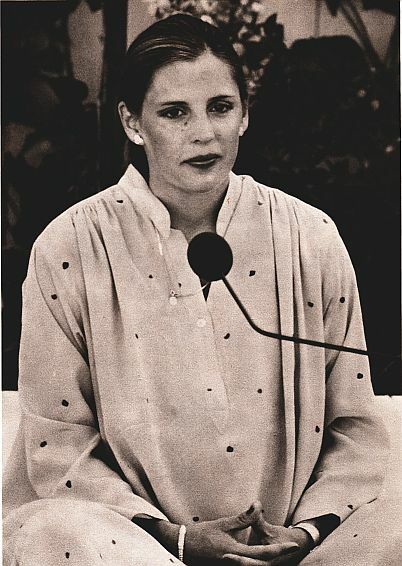 It also was natural to ask Ira Woods for some satsang on the subject, since for six months his name was Mahatma Gurupujanand -- a name given to him by Guru Maharaj Ji himself. And, with all the stories about Shri Maharaj Ji's love for our Guru Maharaj Ji, it seemed a fitting addition to print part of Durga Ji's recent satsang, where she spoke of our Guru Maharaj Ji's devotion for his Father. The words "Guru Puja" mean the worship of the Guru. And you know, "Guru" means one who dispels darkness and reveals the Light, dispels ignorance and imparts the Knowledge of the soul, of the true self within inside. So, premies come to express their devotion to Guru Maharaj Ji. Or, to say it in another way, Guru Maharaj Ji allows premies to get together to see him, to receive his darshan, to receive his Grace and blessings, and to listen to his satsang, his pravachan (discourse of the Master). I remember once Guru Maharaj Ji was giving satsang to the initiators, to mahatmas, before the Caracas Guru Puja. He was saying that Guru Puja means whenever a devotee and the Master are face-to-face, and the devotee expresses his love, reverence and devotion, and worships his Master. There are so many disciples around the world, and it is not possible for them to be in the presence of Guru Maharaj Ji physically every day, and express their love and devotion in that way. So, that's why it has been the tradition in India that once a year, when disciples gather together to express that love to the Master, that day is called Guru Puja. And usually it has happened on the full moon in the month of July. So, premies have really started understanding, by his Grace, what Guru Puja is. Those people who are really, really interested in the history and stories, they consult books and they try to trace out the past. But the past is past. Those who are wise try to take care of the present, right now. While getting into books and scriptures, and reading the stories of the past, many types of translations and misinterpretations will be found. And instead of clarity, they will give us confusion. But what is the Truth right now? The Truth right now is revealed to us by our Guru Maharaj Ji. He has revealed that true self. He has revealed himself -- that universal self which is present within all of us. And so, for that clarity about who we are, what mission we have in life, what purpose there is to be in this human body, we turn to Guru Maharaj Ji. And not only we premies. Really, every human being needs Guru Maharaj Ji. Total ignorance exists when a person does not understand what his need is. That is the greatest ignorance in the world. What is his need? What is the need of human beings? To fulfill this belly? Yes, that is a need: to be alive. And then what is the need to be alive? Why to be alive? What is that need of his spiritual life? It is that Light, that Music. Life can give you the opportunity to enjoy anything of this world: pleasure or pain or suffering or enjoyment, whatever. Without life, you can't experience anything. But who gives you life? He can give you some more beautiful experiences. human body. And when that happens, then life becomes Guru Puja. Guru Puja, every day, within inside, every moment. With every single breath there can be Guru Puja. By his Grace, I always felt there was no external way to worship Guru Maharaj Ji --- never -- even though I used to see some Indian people worship him with so many kinds of stuff: with a candle, arti tray, and red stuff, and this and that. I always felt, no way to worship Guru Maharaj ,li like that. I just felt: "Maharaj Ji, if I really want to worship you, I have to just completely love you in my heart, I have to just completely feel you in my heart, and just completely obey your agya." And that's the only thing there is to help us. Then we really, really feel that we are worshipping Guru Maharaj Ji. Because when we worship Guru Maharaj Ji, when we do follow his agya and then love him in our heart, experience him in our heart, he gives us that blessing. So much, more and more and more. And then we just feel how close we are to Guru Maharaj Ji. Maharaj Ji was talking to Durga Ji in the Rome residence, and he started saying that the most beautiful miracle, most incredible miracle by Perfect Master is to give his devotees total satisfaction. Because by Guru Maharaj Ji's Grace they start to experience devotion, and devotion has that total satisfaction. That's the most beautiful, highest miracle from the Perfect Master. But I remember, one premie told me a beautiful story. He was a very old premie, and Shri Maharaj Ji used to respect him a lot, and used to invite him to his house sometimes in Dehra Dun. Once Shri Maharaj Ji invited him, and that day all four sons were in one room, and they were all playing. 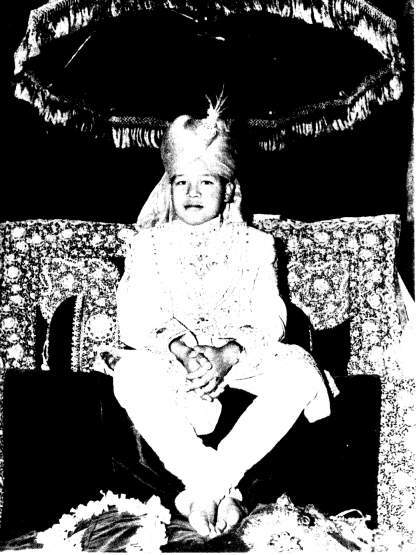 Our Maharaj Ji was so young at that time, he was just learning to crawl. And one of our Guru Maharaj Ji's brothers asked, "Can you read this for me?" So that premie started reading for him -- actually, he was a teacher. Then Shri Maharaj Ji walked in the room, and that premie got shy; he thought that without agya he should not dare to teach Shri Maharaj Ji's children. So he did pranam, and he said, "Maharaj Ji, I'm very, very sorry. I wouldn't have dared, but he asked me to." Then Shri Maharaj Ji said, "You can teach all of them, but never try to teach the one who is crawling on the floor. Nobody in this world has the power to teach him!" I tell you, it's so beautiful that when everybody was freaking out about the family a few years ago, that premie was just weeping in front of premies saying, "Please don't forget who Guru Maharaj Ji is." Then he told us that story, saying that Shri Maharaj Ji had given him this recognition. He told another story also. When Shri Maharaj Ji was still in his body, he had said, "Do lots of prachar in your area, and one day I will come there. Definitely I will come." And that premie really did lots of prachar. 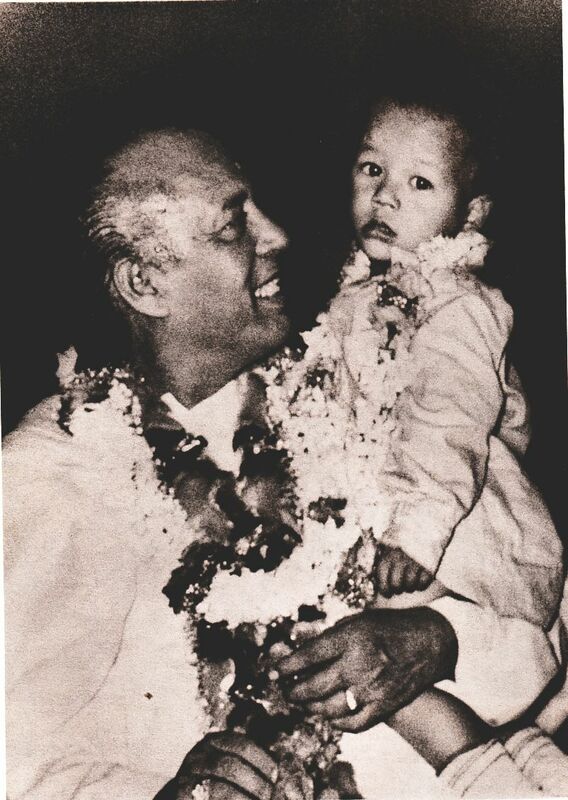 But in 1966 Shri Maharaj Ji left his body, and that premie thought, "Oh, now Maharaj Ji will never come to my town, because he has left his body!" 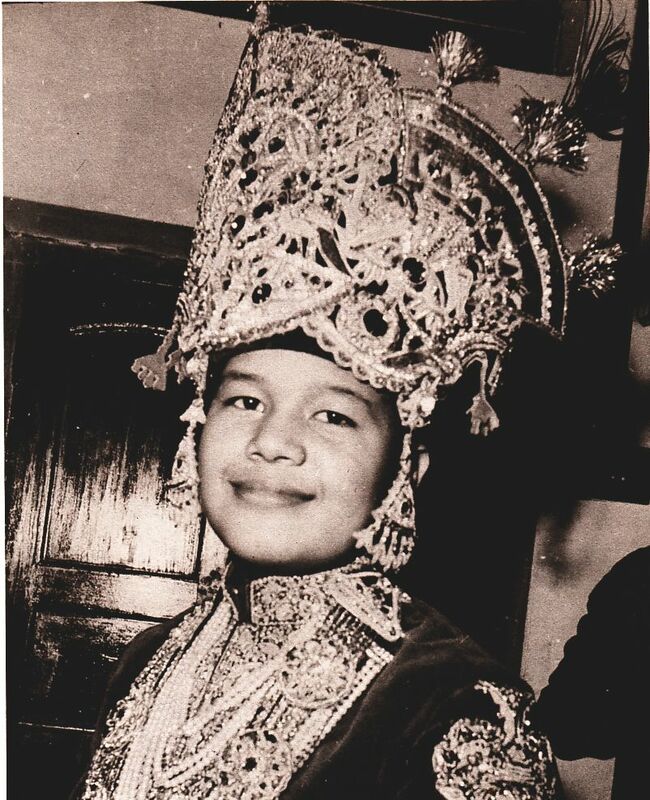 But two years later, in 1968, we had arranged a big three-day program in Nainital for Maharaj Ji, and we sent that premie to request Maharaj Ji to come. And he was very sad -- he thought maybe Maharaj Ji would not come, because Maharaj Ji was going to school. But then Maharaj Ji came out with such a big smile, and he said, "I will come; I never forget my promise!" That premie told me that those stories saved him. He just said, "How can I forget my Guru Maharaj Ji? Two years ago Shri Maharaj Ji told me he would come, but he left his body. And then Maharaj Ji said, 'I don't forget my promise; I will come.' " And Maharaj Ji did go! So beautiful! 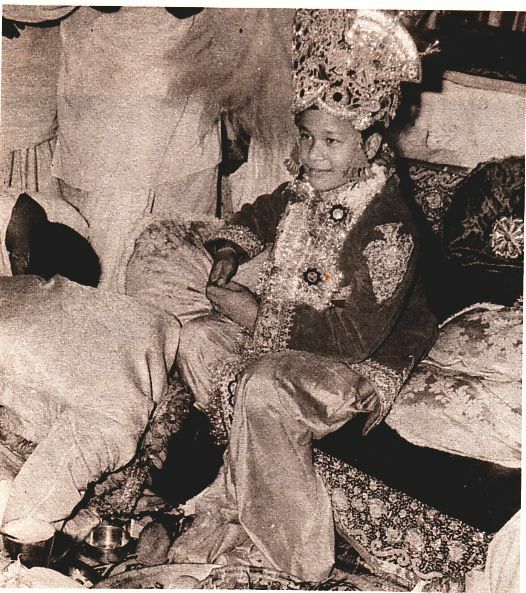 Once Shri Maharaj Ji was in Shakti Nagar ashram, the little ashram in Delhi. He used to come there every month for five or six days, and he used to have satsang night and day, till three o'clock or four o'clock in the morning. Premies came every day, all the time, and they would kiss his feet and then go home, because everybody couldn't stay at the same time. Only 400 or 500 people would fit. So one day Maharaj Ji was sitting on the porch, in front of the kitchen, and he had Maharaj Ji's pictures, 50 or 40 -- I don't know, lots of pictures of our Guru Maharaj Ji. And he was seeing them one by one, and looking at them again and again. He was really, really blissed out while he was seeing those pictures. And then he said: Just by seeing him, people will be saved. And it's a little thing, you know. But he was recognizing that Guru Maharaj Ji was the Lord. It's not that he made Guru Maharaj Ji Lord: Guru Maharaj Ji was Lord, and Shri Maharaj Ji had recognized him. 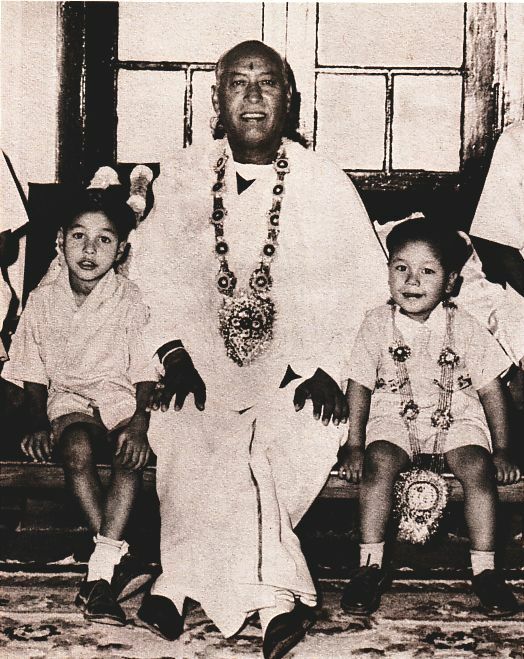 Another time, in 1966, Shri Maharaj Ji was traveling, touring for about six weeks, and Guru Maharaj Ji was in Dehra Dun, going to school. He had arranged a festival in Dehra Dun, but Shri Maharaj Ji was far, far away from Dehra Dun; he was in Amritsar, a city in India. I was at the festival in Amritsar with Shri Maharaj Ji. And Guru Maharaj Ji sent a mahatma to invite Shri Maharaj Ji to come to this program in Dehra Dun. Shri Maharaj Ji had another two or three programs scheduled after Amritsar, so he said to Mahatma Ji, "I know that he is going to do my work." Like he had trust that Guru Maharaj Ji was going to carry on the mission after him. And then he said, "I will let him do this festival; he doesn't need me." But at two o'clock in the morning Shri Maharaj Ji woke up, and he decided to go to see him, because that was his invitation. He was saying that "He is arranging this festival and he is inviting me, so I should go to see him." He was so much in love with him that he couldn't resist; he wouldn't say, "No, I won't come," although he knew that Guru Maharaj Ji was going to do everything. This was actually before Guru Puja, just three or four weeks before Guru Puja. After that was Guru Puja; and after Guru Puja, Shri Maharaj Ji left his body. You know, when Shri Maharaj Ji was looking at the photographs, that was very, very incredible for me, just watching Shri Maharaj Ji. It was only Guru Maharaj Ji's pictures, and he was looking at them one by one, again and again. And he was saying that one day the whole world is going to run after him, and by seeing him people will be saved. And this is happening! Sometimes I don't believe those things happened. I sometimes resist that story, because I myself don't always believe that Shri Maharaj Ji said that in front of me. But it's happening; I mean, that makes me believe it more. Because by seeing Maharaj Ji people are being saved. I mean, he is saving me. Maharaj Ji is giving me satsang, service and meditation, but actually he is everything. He opened our eyes, and we were in love with him, and we were saved. That's what Shri Maharaj Ji meant when he said that by seeing him people will be saved. He meant recognition; that's what I understood. If anybody doesn't recognize him, he isn't saved. But for any one of us, anybody who has recognition that he is the Lord, then what else is there? Nothing else. And by his Grace, by his infinite mercy, that happened in our lives. So beautiful! It's just by his infinite mercy. And even to be in love with him is because of his mercy. He opened our hearts. 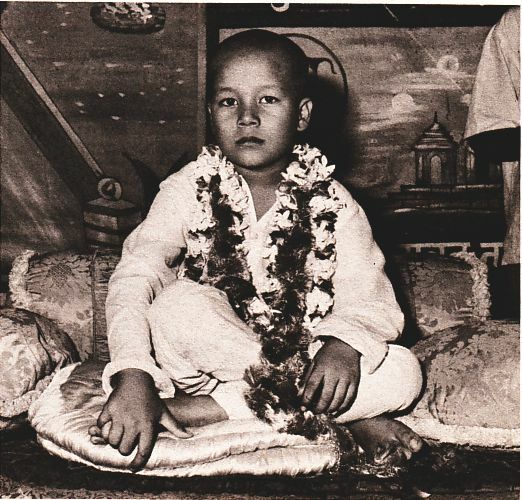 Guru Maharaj Ji gave his first satsang in English on the occasion of Guru Puja, when he was about seven years old. This was at Satyalok ashram; it is in that film, Satguru Has Come. Some time later, Shri Maharaj Ji was giving satsang in Dehra Dun, and Maharaj Ji just came and did pranam, and requested Shri Maharaj Ji to allow him to give satsang. And Shri Maharaj Ji said, "Beautiful!" So immediately he turned the microphone toward him, and Maharaj Ji just started giving such beautiful satsang in English and Hindi. Everyone's eyes were filled with tears of joy. I was watching the faces of Guru Maharaj Ji and Shri Maharaj Ji, and Shri Maharaj Ji was smiling so beautifully; he was so happy to see Maharaj Ji speaking so fearlessly, without any hesitation, and so clearly. When he finished his satsang, he did pranam to Shri Maharaj Ji, and Shri Maharaj Ji took the garland off his own neck and put it on Maharaj Ji's neck, and gave him blessings. Then he said: "Dear premies, I am not really praising Sant Ji Maharaj because he is my son, but I am telling you that he is such a great soul. He looks small in age, but he is great beyond words. 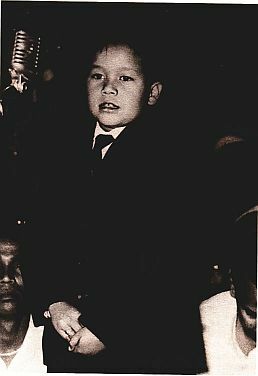 And the whole world is going to know him one day. Because he is the only one who is going to carry my message, and reveal this Knowledge to the seekers of Truth. As sun and moon shine in the sky, he will shine throughout the world. And people who are lucky will see him, and sit at his Lotus Feet, and receive his darshan and listen to his satsang like you are listening here now." He was just so happy to tell all of us about Maharaj Ji's divine power. 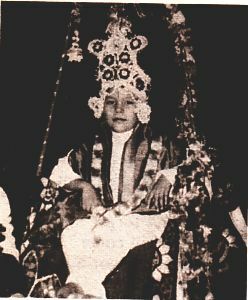 And one time before that -- Maharaj Ji was about six years old -- I was with Shri Maharaj Ji in Bombay, and he asked me to write a letter to Dehra Dun to say that "I will not be able to come to Guru Puja, because I am not feeling well; so let Sant Ji Maharaj come and sit on my throne, and premies worship him!" I wouldn't even know where to begin speaking about Guru Puja, or Gurupuja-ing, however you would put it. As a matter of fact, I was listening to a tape this morning, Guru Maharaj Ji giving satsang in Caracas. He was saying, how can you go up to Guru Maharaj Ji and say thank you? I just don't even know what it means to worship Guru Maharaj Ji. I guess it's just where our whole being is just merging into him, our whole being is just serving him, loving him, because he is our life. It's not even a matter of singing the praise of Guru Maharaj Ji, because who can even sing the praise of Guru Maharaj Ji? We're just seeing that he's so much more infinite -- so much more than what we can ever comprehend. And whatever we say about him almost brings down the experience of Guru Maharaj Ji. Because what can we do? We can build a stage, but how can you build a stage for the Lord? He's almighty, and he's so perfect and so beautiful. And what he's done for us -- you know, no stage in this world could ever adorn him, or glorify him, in any way. Even if we built a stage the size of this entire world, it wouldn't be enough for our Guru Maharaj Ji. We can write a song, but what song could ever sing that perfection that Guru Maharaj Ji is, that perfection which he is allowing us to experience in our lives? What song? Who could ever write a song that would in any way really sing Guru Maharaj Ji's praises, and say anything that would be significant? What gift could we possibly give Guru Maharaj Ji, when all these things in this world are finite, and when Guru Maharaj Ji has given us the gift which is infinite? Love, for all the dead, the living dead. The world of the living dead. He takes those dead people, and one by one by one, just one by one, touches them, and Love begins to come. What can ever be said? I don't know. I don't think I know the first thing about worshipping Guru Maharaj Ji. But I remember so many experiences where it was just happening. The first night of the festival in Orlando, someone asked me if I would garland Guru Maharaj Ji. Because I didn't go to Caracas, and I didn't go to Essen, and -- I don't know, someone just thought maybe I'd like to do that. Of course, I wanted to! I was standing there holding the two garlands, behind the stage, wondering, "How do you do this? How am I going to do this?" I just had to pray to Guru Maharaj Ji, because I didn't even know how to do something as simple as garland Guru Maharaj Ji! I was realizing: I don't know how to do anything for Guru Maharaj Ji. Nothing. I don't know how to do anything well enough. Because he's perfect. What do you do? And I remember, he came, and I followed him onto the stage. He sat down. And all of a sudden, he just took my mind away. That's the best way I could describe it: He just took my mind away. And I felt such a calm, such Peace within myself. I felt so much Love. I just loved Guru Maharaj Ji so much. I was looking at him, I was right next to him, and I was just loving him so much that I could have -- you know, I just felt no separation. I don't know if there's a name for that place. It was perfect. It was where you want to be when you're in a human body. With your Lord and with your Lord, in every sense of the word. With him and with him. With him physically and with him internally. No barrier, no nothing. Just beyond concepts, beyond anything. It was amazing; Maharaj Ji was just so relaxed on the throne, so relaxed, so willing to take whatever I gave. And it was something I could never have planned. I took my time; I placed one garland over his chest just right. Then I took the other garland -- just so slowly, just feeling so much that I was lost. I was completely lost. I wasn't the "I" anymore; it was nothing, it was just something happening that was far beyond me. And then all I could do was fall at his bare feet and bury my head there. I just looked up, completely blown out. So I guess the worship of Guru Maharaj Ji is just being merged in his Love, at that point where it goes beyond your concepts, the good, the bad, this way and that way, and goes beyond logic and rationale -- it goes beyond and beyond and beyond. It's where devotees love Guru Maharaj Ji, really love in the true sense, just merge in that true Love for the Lord. All I can say about "Gurupujanand" is I'm definitely not worthy of that name, or any name. You know, maybe some names I'm worthy of! But Gurupujanand -- I don't know about that. That's a pretty incredible name. But I know that by Guru Maharaj Ji's Grace, anybody can be made Gurupujanand -- anybody. That's his power. And he's teaching us all Guru puja. He's teaching us all -- not teaching us, but bringing us to the point where everything is really beautiful, is perfect. That's his power; that's his glory, that he can do that to us. We sing the song, "Teach Me Devotion." And Maharaj Ji said, "You know why I like that song? Because that's exactly what I want to say to my Guru Maharaj Ji." It's so incredible. Because it's not like, "That's what I want premies to sing to me." It's just like, "That's what I feel for my Guru Maharaj Ji." And when Maharaj Ji gives a little satsang about Shri Maharaj Ji, I can just barely begin to feel that devotion that he has for Guru Maharaj Ji, because it's limitless, it's endless. It's boundless. Sometimes I feel a little devotion for Guru Maharaj Ji, and even though I feel the most beautiful feeling I could ever feel, I also feel at the same time that it's so small; it's just, just so small. And yet, to me it's the most precious thing I've ever felt in my life -- ever. Or that I ever could feel. That devotion that he has given me, that he allows me to feel, is just beyond anything. And yet, at the same time I know it's so small. But I know by his Grace that that's the right track, that's the experience that he wants us to have, and it's so possible to go deeper and deeper and deeper and deeper and deeper and deeper. It cannot end. You cannot draw a bottom to it. Sometimes maybe we feel like, "Oh, Maharaj Ji, my devotion is so shallow." But when we are experiencing devotion, real true devotion for Guru Maharaj Ji, isn't it the most amazing, beautiful, graceful, wonderful, divine experience that we could ever feel? And yet, we know that it's just: "Please, Guru Maharaj Ji, help me have that devotion for you." The other night at Navlata's birthday, Maharaj Ji and I were just having a little satsang. And you know, I can never repeat, I can never begin to try and convey the way that Maharaj Ji expresses himself when he speaks of Shri Maharaj Ji. I can't even imagine what that experience must be like, because he is Guru Maharaj Ji, and he knows what his Guru Maharaj Ji is. He knows what his Guru Maharaj Ji has really given him, and is to him. And he wants us to have that same experience. That's all Guru Maharaj Ji wants. Because he knows that it's for us, not for him. Of course, he wants devotion. But, why? Because it's for us. When we experience devotion, we experience everything. 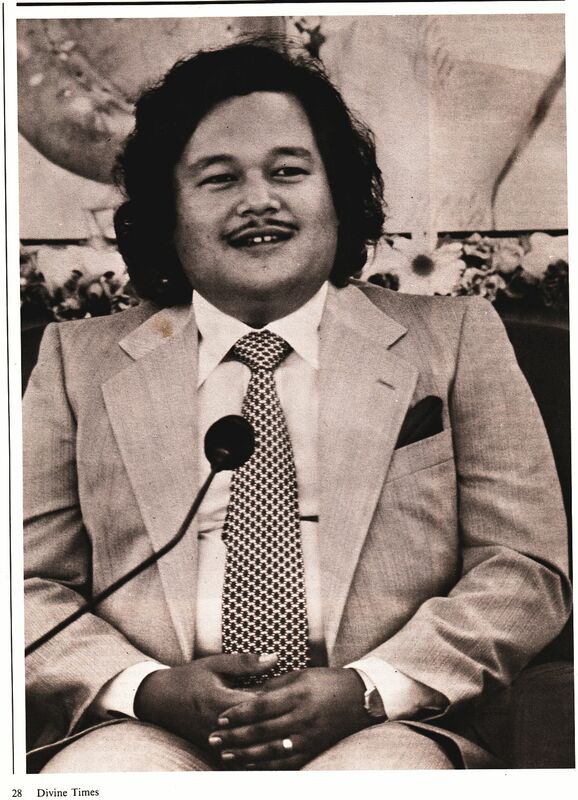 And he was just saying: What I would give to be able to touch his Lotus Feet one more time! It's like, wow! Here we are, and here Maharaj Ji is. We have him here now. And I don't want to get heavy, but sometimes I feel like it's so serious; it really is. It's so beautiful; it's so light; it's so fantastic; it's so wonderful; it's so blissful. And yet, at the same time, we can't just get carried away and go, "Oh, Maharaj Ji is going to take care of everything. I can just space out a little. Yeah, I feel devotion, I feel love for Guru Maharaj Ji. But I want to do this, and I want to do that. I'll still go to satsang, I'll still do service and meditation, but, oh yeah, my life …" We have to see the real depth to this life, to Guru Maharaj Ji, and why he has given us Knowledge. Maharaj Ji said: For me, what's Knowledge? For me, what is Knowledge? Guru Maharaj Ji is everything. Guru Maharaj Ji is everything!